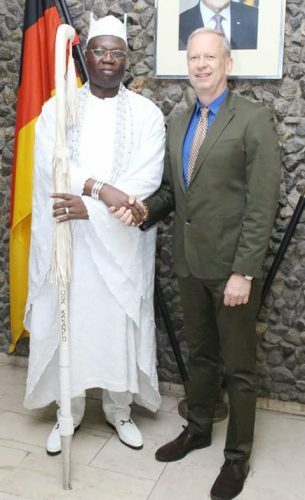 Aare Onakakanfo of Yoruba land, Aare (Dr) Gani Adams alongside his entourage visited the German Consulate Office today. The visit Naija Online TV gathered was meant to seek for better relationship, peace across the world. To promote the Cultural Identity of Yoruba race and to establish a peace and conflict resolution strategy as well as seeking solution to the problem of Illegal migrants across Europe.